KOHLER, Wis., March 22 2019 /3BL Media/ – Nearly 2.1 billion people lack access to safely managed water worldwide*. To encourage positive change and create meaningful impact, a combination of partnership and innovation is imperative to address pressing water and sanitation issues. Since 1996, Kohler Co., a global leader in the plumbing industry, and World Vision, a leading humanitarian organization, have collaborated frequently to provide access to clean, safe water in communities around the world. When Kohler introduced KOHLER Clarity – a lightweight, portable water filter that removes more than 99 percent of bacteria and protozoa to provide up to 40 liters of safe water each day – it was essential to secure an experienced partner network to distribute the filters. Armed with more than 50 years in the water, sanitation and hygiene space, World Vision’s community-based approach affords access into communities most in need, while its long tenure in the relief space provides the experience to take quality, sustainable interventions to scale. Most recently, the two organizations have been focused on providing aid to communities in Honduras. After access to piped water became contaminated, World Vision needed to find an alternative solution to provide access to clean water. World Vision turned to Kohler, and distributed more than 2,220 KOHLER Clarity Filters, impacting more than 20,000 people for past relief efforts. To make this project self-sustaining, Kohler and World Vision work with local distributors in the Business Connect network. The filters are being utilized in schools, homes and health clinics throughout communities in Honduras and are helping to mitigate illness and issues associated with waterborne bacteria. Developed with the same high standards of quality and design that Kohler brings to all of its products, the filtration system is simple to use and maintain which is essential for mass distribution efforts. In addition to the work in Central America, Kohler and World Vision are supporting several other efforts centered on the distribution of KOHLER Clarity filters throughout Asia. Since the founding of its partnership with World Vision, Kohler has also worked with the organization through a network of seven Storehouses across the United States providing kitchen and bath plumbing products. In 2018, these Storehouses have distributed products and goods donated from corporate partners like Kohler Co. to four million people in low-income communities. In recognition of World Water Day, Kohler will provide matching contributions of KOHLER Clarity Filters (up to 100 filters) donated through World Vision for ongoing efforts in Honduras. Donations can be made by visiting worldvision.org/kohler. 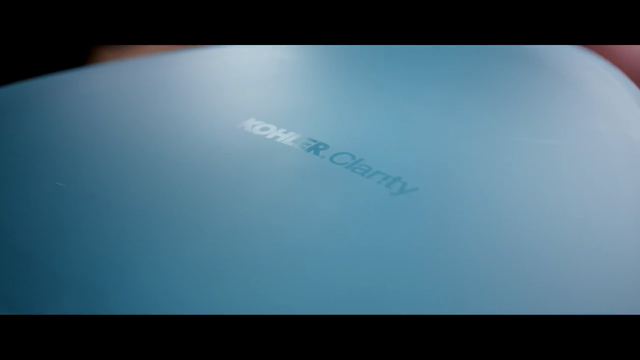 To learn more about KOHLER Clarity, please visit www.clarity.kohler.com. Founded in 1873 and headquartered in Kohler, Wisconsin, Kohler Co. is one of America’s oldest and largest privately held companies comprised of more than 38,000 associates. With more than 50 manufacturing locations worldwide, Kohler is a global leader in the design, innovation and manufacture of kitchen and bath products; engines and power systems; luxury cabinetry and tile; and owner/operator of two of the world’s finest five-star hospitality and golf resort destinations in Kohler, Wisconsin, and St. Andrews, Scotland. Kohler’s Whistling Straits golf course will host the 2020 Ryder Cup. The company also develops solutions to address pressing issues, such as clean water and sanitation, for underserved communities around the world to enhance the quality of life for current and future generations. For more details, please visit kohlercompany.com.